Could you tell the story of Pride and Prejudice in 60 pages and make the world of Regency England come alive for a young reader? I pondered this question before reading author Susanna Davidson’s adaptation of Jane Austen’s beloved novel. The Usborne Young Reading Series provides young readers with stories adapted from literature classics including works by Charles Dickens, Robert Louis Stevenson and Charlotte Bronte. Pride and Prejudice is a Level Three reader with an intended audience of young readers who are reading independently but are not ready for standard length books. How would a re-working of Austen’s masterpiece of complex social relations fare in this format? Mary Lydon Simonsen is one of the most versatile Austen fan fiction writers out there. 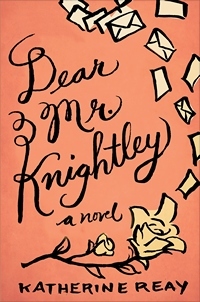 She’s given us contemporary Pride and Prejudice retellings that take place in WWII England, what-ifs that pose Georgiana Darcy and Anne de Bourgh as matchmakers, stories where Mr. Darcy is a werewolf and one particular tale with a widowed Darcy in Italy getting a second chance at love with Elizabeth Bennet. This is just a small sampling of the imagination present in Simonsen’s stories. 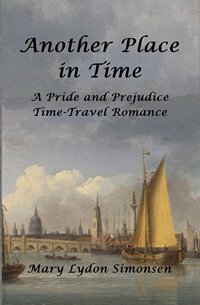 And now with the publication of her latest novel, Another Place in Time, time-travel gets added to that list! Contemporary Pride and Prejudice re-tellings are my second favorite types of Jane Austen fan fiction. (What-ifs own my heart!) I love seeing how authors attempt to believably transport Elizabeth, Darcy, and their story into a modern setting. Seeing the juxtaposition of such a timeless story with modern technology and social cues is always an interesting and fun experiment. Therefore, when I saw Unleashing Mr. Darcy by Teri Wilson available on NetGalley I knew I had to request it! Mr. Darcy and dogs? Could there be a better combination of things on Earth!? Huzzah! It has been a banner year for Jane Austen-inspired books in 2013. The bicentenary of Pride and Prejudice motivated many authors to take up their pens in celebration resulting in a fabulous selection of new titles. From historical and contemporary novels to non-fiction and scholarly, Austen-inspired books were present in several genres making our favorite author even more popular than ever. We reviewed 76 books and short stories in 2013. Here is our annual list of top favorites . Oh, Mary Bennet. What is there to say about her? Unfortunately, the most pedantic, priggish and un-proprietous Bennet sister from Pride and Prejudice has not received the attention from Austenesque authors that her sisters have enjoyed so regularly: Jane is known for her beauty and kindness, Lydia and Kitty for their rambunctiousness, and of then of course there is the spirited and witty Lizzy. But where does poor Mary fit in? 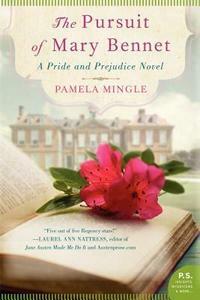 Perhaps you could say, “there’s something about Mary,” and now we have The Pursuit of Mary Bennet by Pamela Mingle to find out just what that something is. Does anyone remember Daddy-Long-Legs, the enchanting 1955 movie in which Fred Astaire is the benevolent, mysterious, rich sponsor who sends the exquisite young French girl Leslie Caron, to college? It was a favorite musical of my childhood, along with a string of other Caron and Audrey Hepburn films. Daddy-Long-Legs actually started life, however, as long ago as 1912, as a bright, effervescent, epistolary novel by Jean Webster. It enjoyed a huge success as a Broadway play and was filmed several times, including a Japanese anime version. Modern readers encountering Northanger Abbey for the first time may find themselves like Catherine Morland: eager to become better acquainted with the wealth of background information that brings the world of the Morlands, Thorpes, and Tilneys vividly to life. 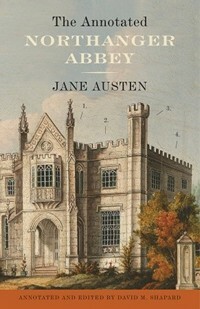 The Annotated Northanger Abbey, annotated and edited by David M. Shapard, is a new resource designed to guide aspiring heroines (and heroes) safely through the perils of obscure Gothic references and identify the treasures – hidden away in Japan cabinets and curricles, of course – that make Northanger Abbey even more enjoyable.